Black Cumin Seed Oil and Hashimoto's Disease - Dr. Nikolas Hedberg, D.C.
Is there more research on black cumin seed oil and Hashimoto’s disease? Another exciting paper was just published which looked specifically at black cumin seeds and their effect on lipids, glucose metabolism, and anthropometric variables including body weight and body mass index (BMI). The authors start by discussing the connection between hypothyroidism and lipids such as cholesterol, triglycerides, and LDL. High cholesterol levels are a hallmark sign of hypothyroidism which is interesting because some patients are prescribed cholesterol-lowering medication without a proper thyroid evaluation. One of the signs of successfully managing hypothyroidism is observing the drop in cholesterol levels as thyroid function improves. 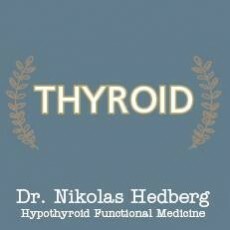 Hypothyroidism also increases the risk of heart attack and stroke. The authors also state that Hashimoto’s thyroiditis is a risk factor for developing type 2 diabetes and diabetes is a common condition associated with heart disease. In fact, up to 38% of patient with type 2 diabetes also have Hashimoto’s thyroiditis. Interestingly, the authors also discuss some of the potential negative consequences of taking the thyroid medication levothyroxine sodium which includes bone loss, cardiac dysfunction, and left ventricular hypertrophy. They then discuss all of the known benefits of black cumin seed oil. 40 patients aged 20-50 with Hashimoto’s thyroiditis confirmed with elevated anti-thyroid peroxidase (TPOAb) antibodies and TSH, T4, and T3 were also measured. None of them had taken any supplements or followed any diets 3 months prior to the trial. Patients in the intervention group took 2 grams of Nigella sativa powder per day and those in the placebo group took 2 grams of starches per day for 8 weeks. The black cumin seeds were milled in a grinder to make the powder. Both groups were instructed to take 1 gram with lunch and 1 gram with dinner each day. Bodyweight, BMI, waist circumference, and 3-days of food logged. Physical activity was measured based on intensity to an average weekday. Insulin resistance was measured using the homeostasis model assessment of insulin resistance (HOMA-IR) which is a calculation of glucose x insulin / 405. The weight and the BMI of those taking black cumin seed significantly reduced after 8 weeks compared to the placebo group which had no changes. LDL and triglycerides significantly reduced in the study group. HDL levels increased in the study group. The atherogenic index improved in the study group which is a marker of heart disease risk. TSH and anti-TPO concentrations decreased. In the discussion, the authors provide information about the potential reasons for these positive outcomes. The effects on weight could be explained by the mechanism that black cumin seeds increase the feeling of fullness and satiety. Black cumin seeds also decrease the absorption of lipids which can lower cholesterol and triglyceride levels. Black cumin seeds have also been shown to decrease fat storage and the spread of fat cells as well as increasing the breakdown of fat. We know from the first paper I cover in this article on black cumin seeds and Hashimoto’s thyroiditis that it is a powerful anti-inflammatory agent which explains the reduction in TPOAb levels and a reduction in inflammation can also help with weight loss and insulin sensitivity. Black cumin seed oil improves lipids and reduces body weight in patients with Hashimoto’s thyroiditis. They recommend this supplement as an adjunct to thyroid medication for Hashimoto’s thyroiditis. 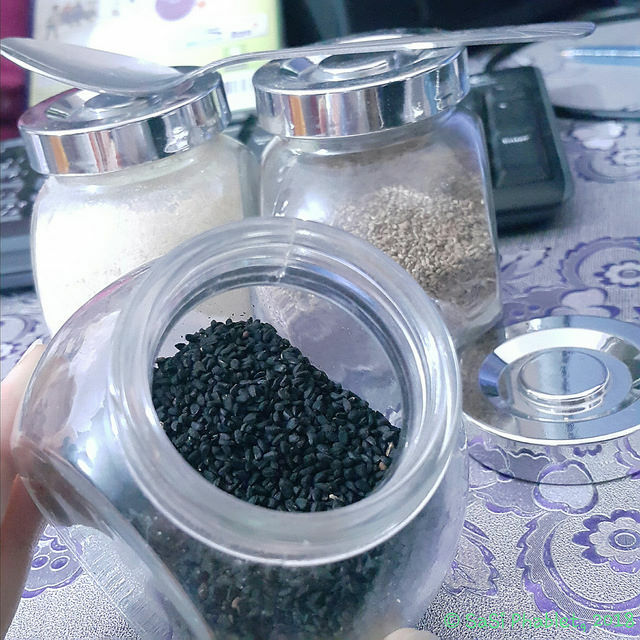 What is the best way to take black cumin seed? You could grind up your own seeds every day to consume the equivalent of 2 grams a day in the above study but this can be inconvenient. Or you could take a highly concentrated cold-pressed organic black cumin seed oil in softgel form. I like the organic black cumin seed oil softgels from Moss Nutrition. Black cumin seed oil is better absorbed and most of the health benefits are due to the compound thymoquinone which is much more concentrated in the oil. I wouldn’t recommend buying the oil in glass jars that are available because you don’t really know how much light exposure they have had which results in oxidation of the oil.